If you already have a website up and running, chances are you’re probably looking to make some money off the content you are creating by monetizing your website. Monetizing your website can be done alongside your primary business, e.g. a service or product you offer or make, and be a form of passive income. Or for some, this can be a primary business in itself and with time and effort a pretty lucrative method of earning money. Like most things that make you money, monetizing your site does takes time and effort from yourself to initially set up, but done properly will be well worth it in the long run. Here we are going to look at the top 5 ways of making your content work for you. So you can financially benefit from the fruits of your labour by monetizing your website content and make it an income earner. The quickest and most efficient way to monetize you content is through affiliate links. These are provided by companies who pay you a commission for promoting their product, either through product reviews or blog posts you write relevant to the affiliate’s product. A good example of an affiliate program is Amazon. The Amazon affiliate program is a good place to start if you are want an introduction to affiliate marketing. Although the commissions aren’t very high from Amazon, the program provides many products that can be linked to your own website, and accessing the Amazon affiliate links are quite easy. You just cut-and-paste them from your Amazon affiliate account and then link them into your relevant site content. If you want to look at signing up to the Amazon Affiliate program check out the link here. As you become more comfortable using the affiliate links, you can then go searching for companies who directly allow affiliate marketing which is relevant to your business website. Take for example, if your business and site is designed for pet lovers, you could write some content surrounding the wellbeing of dogs, then suggest a few leads the readers should try out while walking their dog. You then link your content to the dog leads supplied by an affiliate specialising in pet products such as Fit Bark. Fit Bark then pay you a commission based on sales generated through the link you supplied on you website. And this is how you monetize your content. join their affiliate programs and earn money through linking products to your articles. The opportunities to partner with affiliate’s are endless, regardless of what your website is about, all you have to do is research. If you want to know more about affiliate marketing, check out my review on The Wealthy Affiliate who provide tools and learnings in order to equip you to be the best affiliate marketer you can be. Pay per click advertising is also known as cost per click (CPC) advertising, and can be done through Google AdSense and other search engines such as Bing and Yahoo. Essentially you pay the search engine a certain amount of budget (your capital input) in order for them to run your advertising campaign (based around gaining traffic to your website) on keywords you select for maximum Search Engine Optimization (SEO). For every click the search engine generates to your advertising campaign they will draw down on the budget you have paid them, this is the PPC part, and the search engine will continue to promote your campaign until your budget has been fully utilised. You will then need to top up the funds with the search engine before they will continue to run your advertisement. So although not directly monetizing your content, PPC is essentially driving traffic to your website and then through the content your write and the products you recommend or advertise on your website, you will then gain earnings. Essentially PPC is you, paying Google, Bing, or Yahoo to run your ads and drive traffic to your site, in the hope that your audience will find something of value on your site and then make a purchase through a product you will earn money off, be it your own produce or an affiliate marketing product. Again for more information on setting up a PPC campaign in order to maximise your content earnings I suggest you check out The Wealthy Affiliate website. After you have built out your website with content in a particular topic (niche), products aligned with your website might see you as having influence over an audience they are trying to target. Businesses that offer products that align with your website may contact you, and ask you to write an article or post promoting their product with relevant links, and pay you a fee for this article. This is more likely to happen if you have an established website and brand, with regular traffic and are seen as being influential in the space you are working in. Businesses will see value in the fact that you could influence your audience to buy a product from the business and are paying for that influence. Disclosures are generally required around this kind of advertising to ensure consumers have full visibility as to why a particular product is being promoted. If you feel the product aligns with your business and brand strategy, and actually believe in what you are writing, there is no harm in accepting this kind of sponsored posts and articles. Similar to sponsored content discussed above, a person may ask to promote themselves or their own products on your website. And by doing this will offer to pay you a fee. The guest blogger will then write a post or blog that you will feature on your site and be delivered to your audience. You need to ensure that the guest blogger aligns with the brands and values you have established for your website. After all you have worked hard to establish your audience and don’t want to see it diminished because you sold out for a few hundred bucks. Make sure you keep control over what is being produced, and maintain final editorial rights, ensuring you are 100% behind the content being written before you press publish. Once the content is out there, its out there forever! This kind of money is most likely to be earned once you have established an audience and have regular traffic to your site. Unless your website has a lot of direct traffic to it on a regular basis, this one is a little harder to earn money from. Organisations looking to advertise on your site, are looking to find audiences that will be interested in buying their products directly from clicking links from your site to theirs. So these organisations are going to be searching for an established audience from your site. By paying you to advertise on your website, they are essentially paying to access your audience. If you have an established audience and are a known brand, chances are this kind of advertisers will approach you directly. But until you have built up your content and are driving high traffic to your site from content search in Google, Bing and Yahoo, you might want to put this kind of money earner on the goals to achieve list, and focus on building your website content out instead. Now you know a little more about how to monetize your website content you need to do a self-assessment as to where you think your website sits in its “Product life cycle,” after all your website is a product! People and businesses will pay for your website audience and space depending on its stage of growth. Once you decide where your website sits in the Product life cycle, be it the Introductory, Growth, Maturity or Decline phase, you will have more of an idea of which of the above money earners you should be targeting. At all stages of the life cycle you should be focused on developing good quality content, but this is particularly important in the Introductory and Growth stage, and even in the Decline stage which may be because of your content quality. I can’t stress enough how important focusing on producing good quality content is! After all quality content leads to indexing in search engines, a good website leads to higher rankings in search engines, and higher rankings in search engines leads to increased traffic. You want to increase traffic because increased traffic leads to an audience and a following, and then, you may have something worth value organisations looking to advertise with will pay for, and you will be well on your way to being an influencer in the space your website sits within, and making some serious money off of your content. What stage of the product life cycle does your website sit in? If you want to know more about building quality content, please check out my review on the Wealthy Affiliate here. What a bundle of information all on one page! I have heard of Pay Per Click with different social medias as well! It looks interesting, but I did not know how it worked so thank you for sharing. I definitely feel that I am in the introductory phase! Some of the Affiliate pages look like scams or seem hard to stand behind. What are your favorite affiliate programs? there are several ways to monetise your website and you have highlighted some good ones. Affiliate links are the most familiar way if you are into affiliate marketing. Pay per click i have heard about but not yet tried. Using Adsense is okay for displaying adverts but you do need a lot of content and lots of blog posts to benefit. Hi Nicole. Thanks for this well written post. You have made it clear on all the ways to make money online. 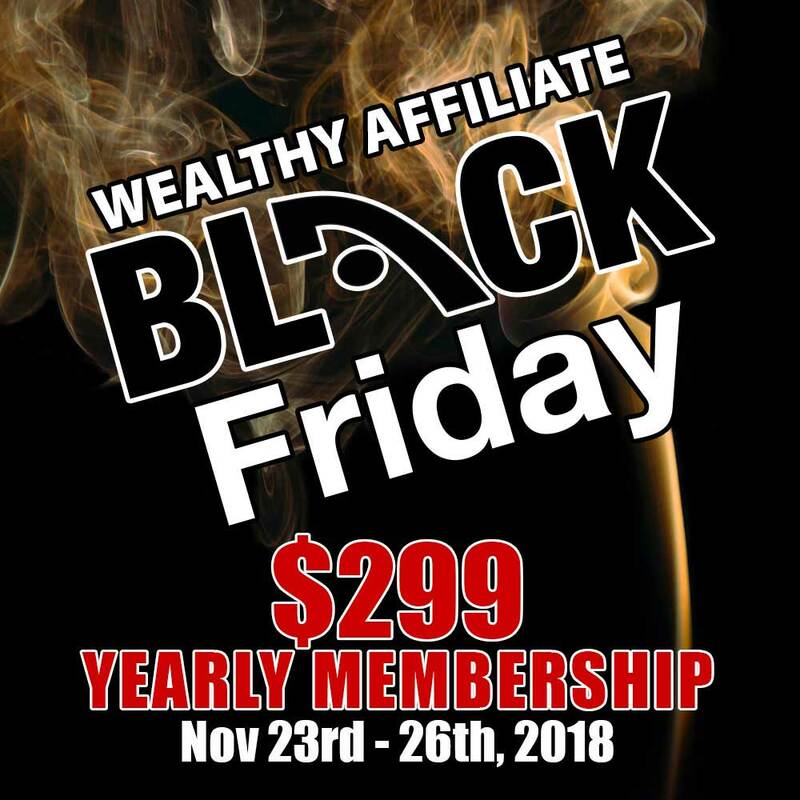 I also checked out Wealthy Affiliate. Great site. Nicole, I enjoyed your article. My site is currently still in development, very little traffic but with a couple affiliates linked. Not at the PPC stage yet, and actually would like to just jump over that. You have provided sound advice and given me somethings to think about, and perhaps reconsider. Hi Sanders, I checked out your website and its great. Best of luck when you hit the PPC stage, I’d love to know how you go! Hi, very helpful all these strategies. There are so many ways to monetize a blog website. One little tip you have forgotten, though you use it yourself. The sidebar widgets. I think these are quite powerful if used right. I personally don’t like Adsense because I think it is very disruptive. I don’t like sites where adds pop up all the time. Another great post. Monetising your website is a really important part of an online business. You explain each concept really well. I like affiliate marketing and have it as part of my website strategy. Wealthy affiliate is also a great community to be part of. Thanks for another great post that will really help those starting out. I have just started with Wealthy Affiliates and I’m so new at everything. I am learning and slowly understanding. Never heard of any of the different ways to monetize your website ever. Very educational. I don’t fully understand everything still but with the training it will come. You have just opened up a whole new world to me which I intend to explore. There is a lot of good information in this post. You just helped to clarify PPC for me. I still have to monetize my website, that will be the next step for me at WA. Hey girl. Great tips for monetizing your website. Even if people are confused, I find it is better to do something than to try to sit around figuring out what you should do. lol These tips will give them enough to run with and get going. Thanks Jessica, yeah I just wanted to give readers an introduction on ways to monetize their content, as I see a lot of missed opportunities out there. People put in a lot of hard work to get their blog up and running, but don’t realize they could make a full time income off of it if done correctly. Great article of affiliate marketing and how to make money online. Very informative how you talked about the product lifecycle and at what stages people are at in their buying cycles. But at the heart of it all is great content. I’m going to check out your wealthy affiliate review. Thank you! Great advice. I use most of these things. Have yet to use ppc advertising but soon will. I’d love to know how you go with PPC Tim, please let me know. Thanks for your comment. Great info and content on your blog .I actually employed the guest blogger strategy.I got a guy from fiverr still waiting for the results on that one. Ohhhh let me know how you go with Fiverr, I’m hearing mixed reviews about what you get in return. Thanks for the comment. There is a lot of great content in this post! Thank you for sharing. Some sound advice that I will be taking into account as well! My biggest issue is keeping up with creating content as I get a little overwhelmed because I’ll go back to older posts that are taking awhile to index and try to rework it a bit. But it has been slowly become easier to just sit and type naturally.